Now your dog can be part of the UNSC K-9 Unit! 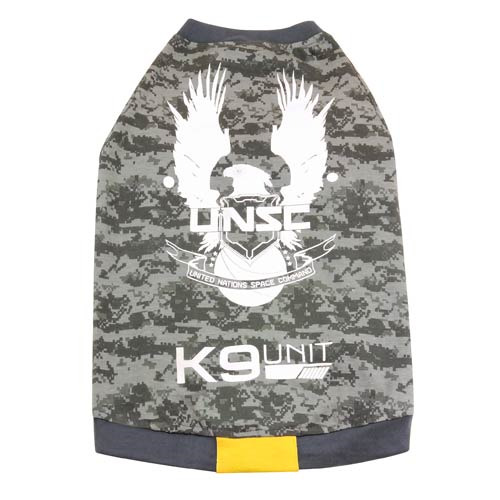 This Halo UNSC K-9 Unit T-Shirt features cool camouflage design complete with the UNSC logo and the words, "K-9 Unit." If you're a Halo fan, then you gotta get this awesome shirt for your dog! Ages 15 and up.